Sensitive kids are everywhere. 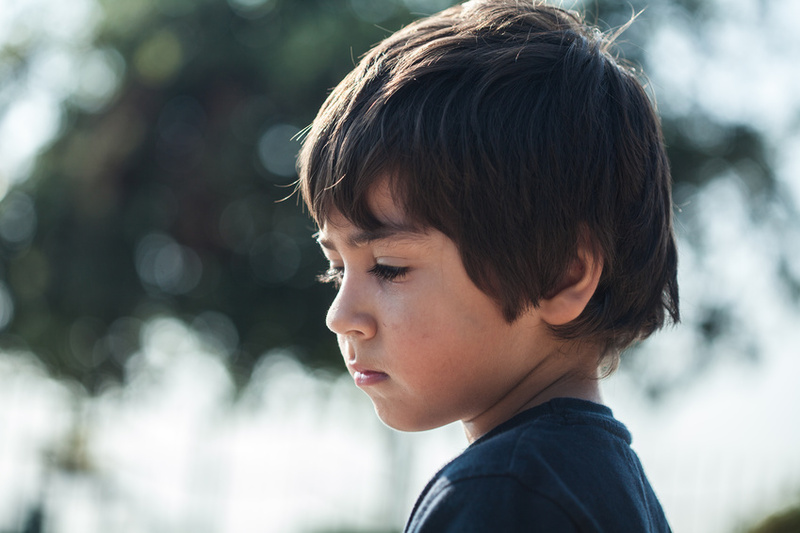 Their numbers are estimated to be between 15 to 20% of children in a North American context, but they are often misunderstood or not recognized as being sensitive. What does it mean when we say a child is “sensitive” and how would you know if your child is among them? To make sense of sensitivity, it is easier to start with understanding what it is not. It is often confused with a child who has strong emotional reactions or whose feelings seem to get more easily hurt. Sometimes it is confused with a child who seems to be more considerate of other’s needs or who is gentle or kind. While children with sensitivity may display some of these characteristics, these are not typical of all sensitive kids, nor do they help us understand what is at the root of their different way of being in the world. Sensitive kids are defined as those who have an enhanced receptivity to the world through their senses. It could be through any sense—touch, taste, smell, sight, or hearing—and it is unique to each child. It also exists on a continuum, with some kids being more impacted by touch and smell while others may be affected visually or through another sense. While no two sensitive kids are alike, their enhanced receptivity to sensory information leaves them without a “skin” against the world. Things can feel too much, too big, too cold, too loud, too hot, too smelly, too painful, and too overwhelming. In other words, they can easily feel bombarded by stimuli and this can stir them up emotionally. They are also likely to be more activated and reactive in environments that stir up their senses. For example, I remember watching a boy run for the door in his Mommy & Me music class every time the noise started to escalate. The cacophony of sounds was neither soothing nor fun but instead crashed into him, flooding him, and overwhelming him. As he instinctively darted for the door to escape, there were some adults who saw him as disobedient or defiant, but in truth, he was simply overwhelmed. It is important to see sensitivity not as a disorder but as part of the diversity in human temperament. Sensitivity doesn’t seem to be a mistake when you look at it from an evolutionary perspective. You can find sensitivity in other mammal species (even in fruit flies!) lending support for the idea that it is not a mistake but perhaps adaptive in some way. What is clear is that sensitive kids need adults to “get them” and to take care of them. This is true for every child, but much more so for the sensitive ones among us. How do you know if your child is sensitive? Sensitive kids reveal themselves soon enough to their adults. The child will seem more easily triggered or comforted through a sense, or combination of them. In some cases overly-stimulating environments may prove to be provocative or upsetting to young ones. Likewise, the sensitive child may also find comfort in certain senses: for example, a child with tactile sensitivity may only sleep when they are held or touched, or one with an auditory sensitivity may prefer hearing your soft voice as they fall asleep. Sensitive kids often seem to have an unusual alertness even as babies. They may sometimes be described as “old souls” or the ones who watch everything. They can sometimes display exceptional memory and become preoccupied with their thoughts. Their questions are often probing and reveal a unique way of looking at the world. They can have a range of interests or can become squarely focussed on one area in particular. Sensitive kids are often described by adults as being intense, passionate kids with big ideas and plans. When they are happy they can infect a room with their enthusiasm just as when they are upset, they can fill a room with hurricane- force levels of frustration. As the parent to two sensitive kids I have experienced first-hand what comes with caring for them. One of my children is visually sensitive and sees too much at times which appeared when she was 11⁄2 years old as she yelled at strangers to stop looking at her. It felt unnatural to be seen by someone she didn’t know, and their attention was unwanted and alarming. She was also the same child who would never perform or dance in front of other parents at school because “they were all strangers.” Her visual sensitivity brings gifts like the ability to remember details, see patterns, and create novel and new designs—like her “candy wall” when she was three. At the same time, it can become unbearable when there is too much stimuli, particular scary movies with sounds, images, and suspense. Parents need only pay attention to what stirs a child up and to consider how much is too much for them in order to figure out which combination of senses are enhanced. The key to understanding a sensitive child is to not hold their big reactions against them but to appreciate how they are being impacted by the world around them, and how to deal with them effectively. Brain development is a phenomenal thing—especially in young children. With ideal conditions, a sensitive child’s brain will develop so that it can increasingly handle and process sensory information. They can develop neural wiring that can manage the sensory overload and find ways to compensate for too much stimuli. In other words, nature has a solution for a child’s sensitivity, but it needs our help for them to internally cultivate these answers. If we can create ideal developmental conditions for a child, then nature can take over and grow the child up and through their sensitivity. 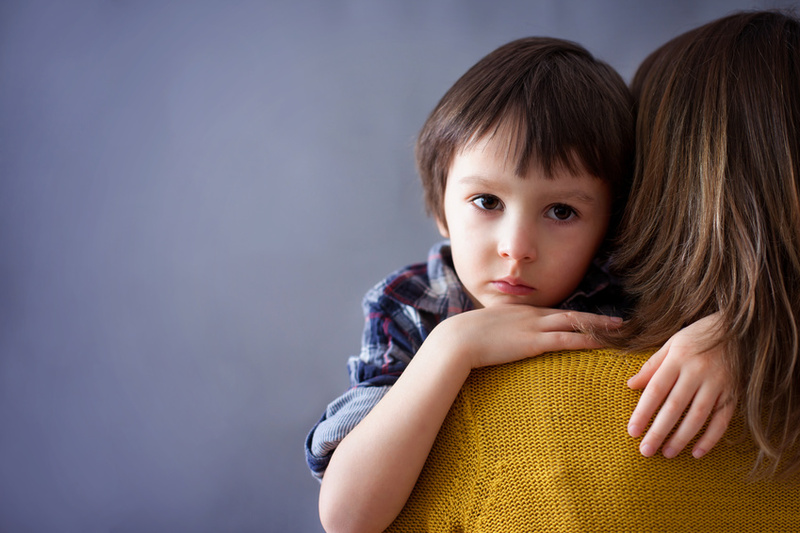 Sensitive kids need strong caring relationships with adults who convey to them that they are not too big, too difficult, or too much of anything. 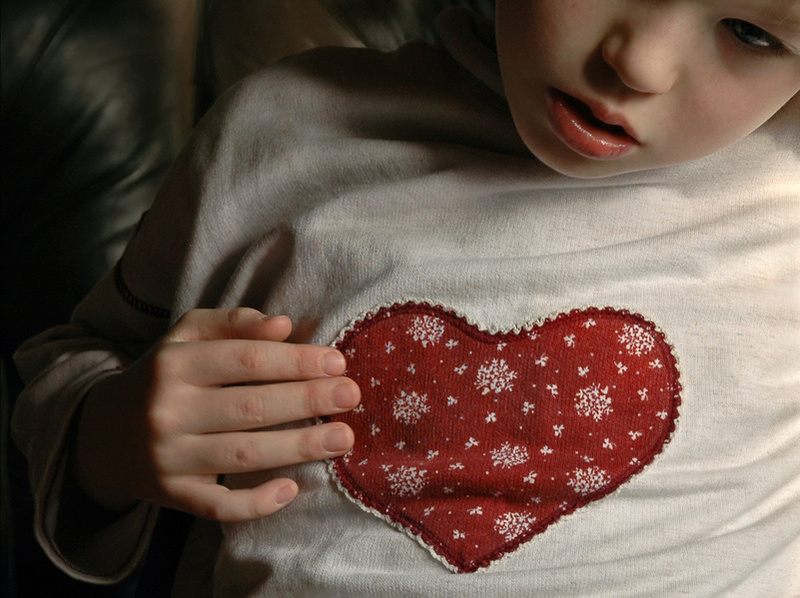 Sensitive kids are usually more aware of the vulnerability inherent to relationships; that is, if you give someone your heart, they may hurt you. It is emotionally vulnerable to trust someone, to get close, and to rely on them for care taking. Adults need to take a strong lead and convince a child they can count on them especially when it comes to dealing with a child’s mistakes or their challenging behaviour. Separation-based discipline such as time-outs, 1-2-3 magic, or consequences can often go too far and create insecurity in relationships. Attachment-based and developmentally-friendly discipline is key to being an emotionally safe caretaker in the hearts of our sensitive kids. Little things can go a long way in cultivating a connection with a sensitive child. It could be the small things we remember, the patience we take to draw them out and hear their story, and all the ways we communicate that we enjoy being with them. 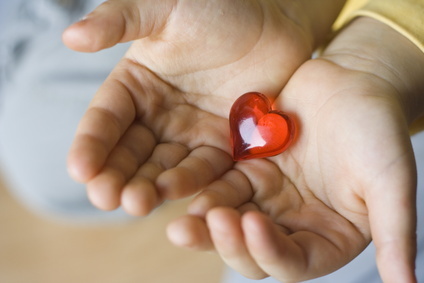 Relationships matter to all kids but sensitive ones don’t “suffer fools gladly” and they often wait to see if someone can be trusted before giving them their heart. We need to work to earn their trust and be patient until we are there. Whoever cares for a sensitive child will need to work on a relationship with them to get them to follow and take their cues. This is true in a childcare environment as well as in school with their teachers. If a child does not have a thick skin to protect them from sensory overload, then it will fall to their adults to compensate for this. We can start by changing the child’s environment. For example, some kids prefer white noise to cancel out environmental stimuli or may benefit from headphones. Caregivers need to be patient and accept that their child may not want to engage in activities that are overwhelming such as playing with a lot of kids or music classes. While it is important to reduce arousal and stimulation where appropriate, it is also important to think about if and when you can gently expose sensitive kids to the things that are overwhelming for them. For example, one mother had a child with a number of sensitivities and loud sounds were particularly difficult. She begged her mother not to walk by a construction site near their house because of the loud sounds of the big trucks and “diggers.” The mother took note that this was a challenge for her daughter and took a different route as they walked to school each morning. On one morning she said to her daughter, “We are just going to quickly walk by the construction site and I want you to put your hands on your ears so that it won’t be too loud for you.” As they ran by, her daughter spied the diggers and the hole in the ground and became fascinated. As the week went on, the mother continued to walk by the construction site with her daughter, watching, and eventually stopping. One day her daughter took her hands off her ears and listened, and eventually, she was able to walk by the site without feeling overwhelmed. What sensitive kids need is an adult who understands them and who knows when to shield them and when, and how, to gently and patiently encourage exposure to the things that are hard. Sensitive kids can be stirred up by the world around them and this can create big emotions inside of them that need to be released. The best thing we can do for them is to help them express feelings through words, play, or through their tears. Sometimes we need to encourage play that will draw out their frustration, fears, or desires. It is often easier to face things in play when it isn’t for real or can’t really hurt you. If we are to move a sensitive child to their words or tears, they will need to trust us and to see that our relationship is unwavering even when they are having a hard time. 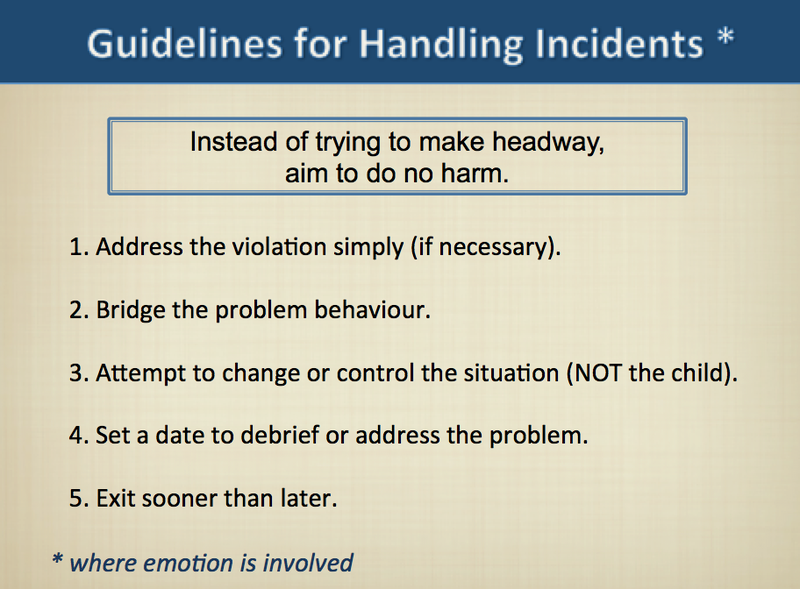 When we have to deal with issues regarding their behaviour we may make better headway outside of the incident. They may be more receptive and able to hear us when we talk to them when they are less stirred up and feeling close to us. Sometimes they may not want to talk about issues or tell us they can’t remember. We can simply tell them we will make it fast, and easy, and it won’t hurt but we just need to say a few things. We may need to lead them into vulnerable territory but if we fail to do so then they will have a harder time having a relationship with the emotions inside of them. If there were a secret to caring for sensitive kids it would be to realize that they often act in congruence with the sensory world that exists inside of them. They are not trying to give us a hard time—they are simply having a hard time. While there are challenges posed by their sensitivity, there are also gifts, which caregivers learn to recognize as coming from the same place. If we can hold these things in mind when dealing with them and invite them to rest in our care, then we will be able to become the strong caretakers they need. *NOTE: This article first appeared in EcoParent Magazine, Spring 2019. 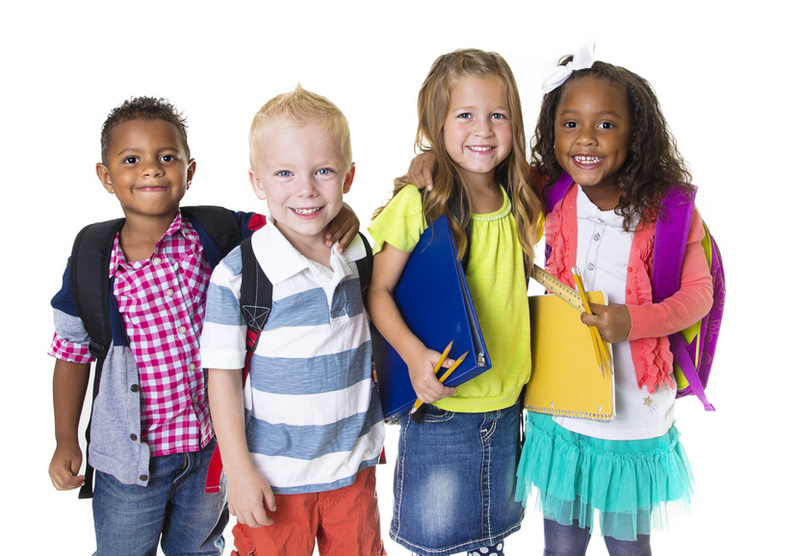 Sensitive kids are known for being more intense and stirred up by their environment. Sensory overload is common with some sounds being too loud, smells too powerful, and even touch or tags in clothes being too much to handle. They can be difficult to make sense of given their heightened reactions and emotions, especially their increased resistance and anxieties. While sensitive kids can feel larger than life to take care of, what usually gets eclipsed when development is going well, are the wonderful gifts that come with being more stirred up by the world around you. 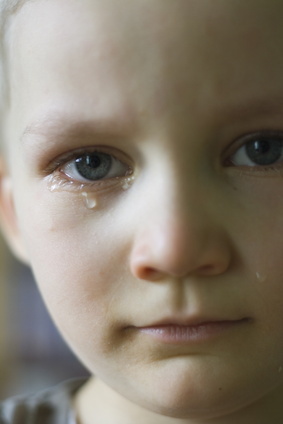 The number of sensitive kids in the North American population is estimated to be anywhere from 15 to 20%. Their heightened response to external stimuli as well as from signals within their body, is due to heightened reactivity in their nervous system. The parents of sensitive kids tell me, “they just seemed to come out of the womb and into the world this way, more stirred up, reactive, and harder to settle.” When I look at baby pictures I can see the sensitivity in some kids by the way they clench their hands, face scrunching, and body rigid with tension as if to indicate being in the world was too much to take. Sensitive nervous and sensory systems are not just in humans either, biologists have discovered the same in other mammal species and even fruit flies. While we don’t really understand why some kids are more sensitive, current research is suggesting genetics, prenatal or birth experiences. What is still true is sensitive kids need the same conditions as other kids to grow, that is, strong caring relationships with adults and soft hearts. Sensitivity exists on a continuum with no two children being the same in terms of their enhanced receptivity to stimuli including differences in reactions to sights, smells, tastes, touch, hearing, kinesthetic/proprioceptor (knowing where your body is in time and space), and emotional/perceptual abilities. As the mother of two sensitive kids, the differences between each one is clear – one has a nose like a blood hound and can sniff out the smell of ‘sneaky’ chocolate on my breath and is very ‘ticklish’ and feels pain intensely. My other child can quickly ‘read’ a room and pick up on emotions and the true intentions of those within it. While the differences among sensitive kids are great, the gifts that come with heightened sensory systems can start to emerge when development is unfolding well. While they are more prone to emotional challenges, with a supportive environment containing warm relationships, play time, room for tears, they can flourish. 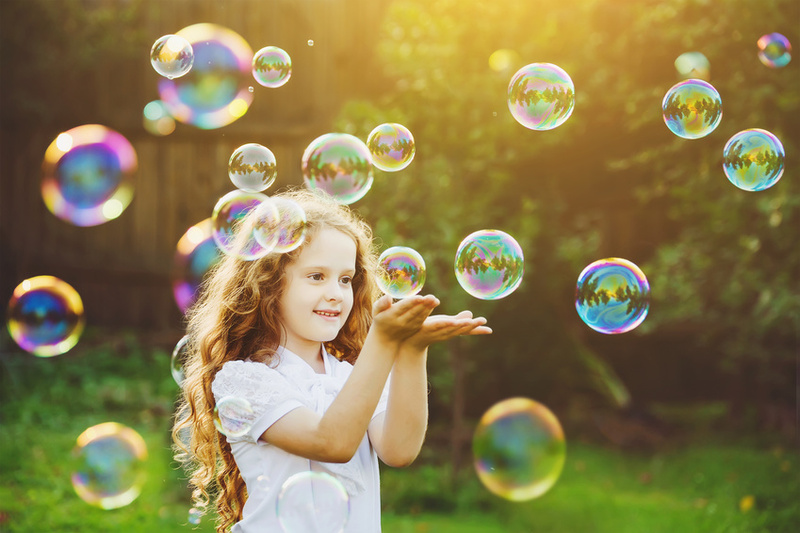 While all children have gifts and talents, kids with sensitivity have gifts that are more likely to cluster together in the following ways because of the increased reactivity in their nervous and emotional systems. Perceptive – Sensitive kids often pick up on small details and notice things that are different or have changed, and can put together patterns and abstract details into a whole. When it rained one hot summers day after a dry spell, my daughter stood smelling the rain and told me, “I forgot what the rain smelled like Mom, it is so wonderful.” When she was younger she also told me that “dust sparkles in the sunshine like fairy dust.” To see the world through the eyes of a sensitive child is to be reintroduced to the wonder and splendor of the simple things that surround us. They often make us slow down enough to notice what we have missed in our hurry to get on with adult responsibilities. Care deeply about others – The emotional system is part of the nervous system which impacts sensitivity by giving them a heightened caring response. If development is ideal, they can become very compassionate, empathic, and considerate as they mature. The depth of their emotions can be profound as they vocalize what they are feeling. They can be easily moved emotionally by music, stories, nature, art, and the kindness of others. Sensitive kids are known for crying with sentimental songs or through stories – like my daughter did when I sang “Danny Boy” or read Puff the Magic Dragon to her. The warmth they exude when their hearts are soft is breathtaking and they can naturally move to take care of their siblings with fierce protectiveness. 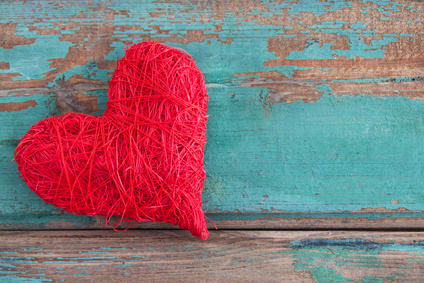 Passionate and intense – The enhanced receptivity in their emotional systems can lead to passionate and intense feelings/responses in their relationship to things, people, and interests. 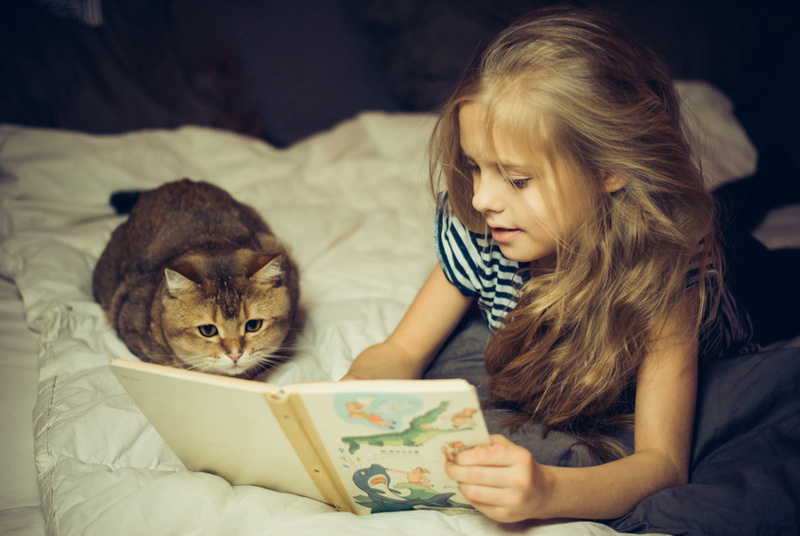 They love their pets – their friends – their clothes – that bedtime story. They can become vibrant and energized talking about their ideas, with big dreams and goals ensuing. They are often interesting people to talk to with their energy vibrating and lighting up a room. Some sensitive kids carry this energy more internally, but it often reveals itself as they play, move, write, or tell stories. Memory – With increased receptivity to their environment and attention to patterns or details, sensitive kids can absorb and retain information at astonishing rates. They can recite stories by heart and memorize entire picture books. They frequently talk early as they imitate others, and can locate things you have ‘misplaced’ with uncanny accuracy. ‘Natural brightness’ is often a result of sensitivity as well as particular areas of special capabilities, for example, visual processing, reading comprehension, or agility. Creativity – When sensitive kids play freely, unconstrained by agendas or structure, their imaginative worlds can be vibrant and expansive. They often exhibit a unique capacity to create something novel out of ordinary things, in other words, they incorporate their environment into their play. For example, one sensitive child created a ‘candy wall’ in her room out of blue sticky tack and Halloween candy as part of her decorations. Sensitive kids who flourish this way can be counted among some of our most gifted artists, writers, actors, musicians, designers, engineers, and talented creatives. Discerning – they don’t suffer fools gladly – Sensitive kids can be particular in deciding who they will trust and form relationships with. They expect a lot from their attachments and people must often prove they are psychological safe and non-wounding before a sensitive child will warm up to the relationship. A parent of sensitive child told me that as his child entered a new school, “it is like he is taking resumes from other kids before choosing who he is going to be friends with.” Sensitive kids are less likely to succumb to false pretenses and fake performances. They can often read people’s true intentions despite people’s attempts to disguise or to try and fool them. 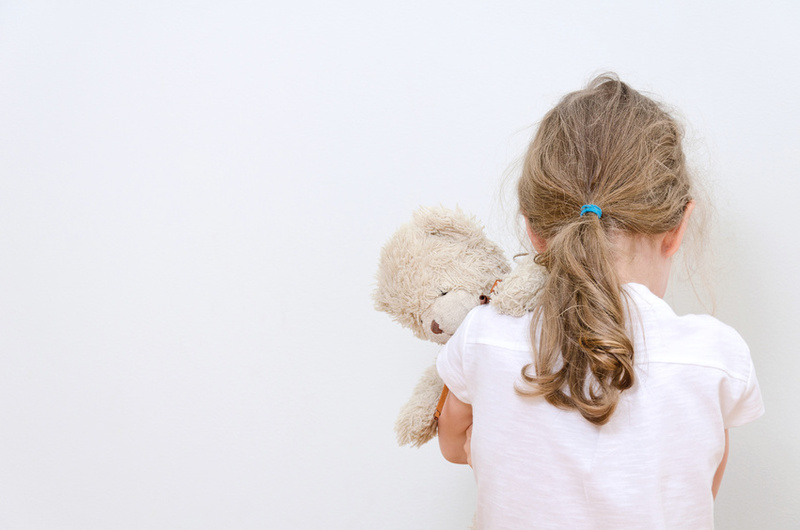 Resistant – It might not appear to be a gift on the surface but a sensitive child’s capacity to resist coercion and control by others has a silver lining. While they can be quick to dig in if they feel pushed and will often push back, this does help preserve a space for their own ideas to emerge. Being prone to feeling easily coerced and quick to resist allows them to stand apart from others, resist peer pressure where appropriate, and become their own unique person. Problem solving and innovation – When a sensitive child is able to digest a lot of sensory information and hold onto all of the pieces at once, they can start to arrange them in interesting and complex ways. The capacity to find new and unique solutions comes from being able to manipulate ideas, integrate unlike objects, and form connections. Because the sensitive child has more ‘data’ to work with, they can be seen as innovative problem solvers – possibilities are not something sensitive kids are short on when development is unfolding well. Gifts related to their sensitivity – Every sensitive child exists on a continuum of heightened responses but with this can come a refinement of special skills and gifts. For children with enhanced emotional/perceptual awareness, they may pick up on, describe, and translate the world around them into feelings and emotions as seen in poetry or storytelling. For the child with auditory sensitivity, they may be able to pick up a tune and play it on a musical instrument or sing a song in perfect pitch. For the sensitive child with kinesthetic/proprioception gifts, their ability to tune into to their bodily movements can make them talented at different sports. 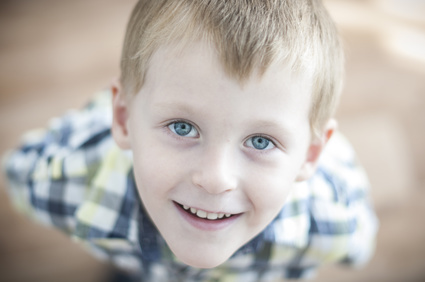 There are a number of ways a child’s sensitivities can be revealed, with gifts following from each particular sense. They stretch parents to grow – At times parents of sensitive kids may feel their child is too much for them to care for given their heightened reactions, capacity to resist, and big alarming feelings. 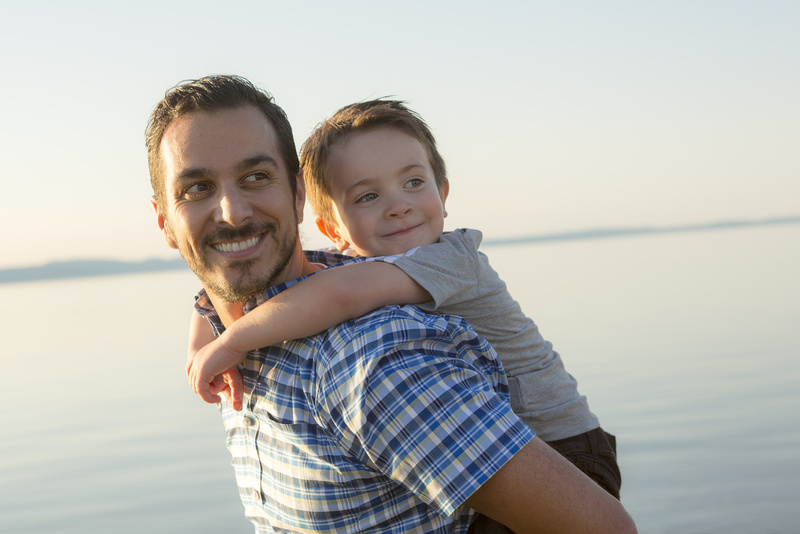 It is the love for a child and the feelings of responsibility that will push a parent to grow and stretch in their capacity to find patience, consideration, compassion, and self-control. Sensitive kids need strong, caring, and firm parents to lean on, and ones who won’t be afraid to face their big emotions and walk them through it. When a parent learns to dance with their sensitive child in this way, and when they can make sense of their emotions and behaviour, they will find the confidence they need to be the answer to their child’s needs. The gift of a sensitive child is the opportunity for growth that they represent to those who care for them. In caring for a sensitive child, you must learn to dance with human vulnerability, become a safe landing pad for big emotion, and lead them through the disappointments in life. When you can do this, there will be much fulfillment in the parenting role, and a realization of the growth inside of oneself. While sensitive kids may not be the easiest to parent, they can make amazing parents out of us. What do sensitive kids need from parents? Sensitive kids need the same things as every child – caretakers for their hearts when they feel too much and get hurt too much. They need adults that can lead them and who will assume responsibility for reading their needs and providing for them generously. Sensitivity can be a beautiful thing if we give our kids enough time to grow and to make sense of the world in their unique ways. Nature wasn’t unkind this way nor foolish, difference and diversity has always been her way and there are gifts in all of the temperaments our children have – sensitive and less sensitive alike. “She is so dramatic and everything seems like a big deal,” said a baffled father of a 6-year old girl named Samantha. The mother tells me ‘Sam’ hates the tags on her clothes and loud noises, and hangs back to watch her peers before engaging with them. Sam complains when things are too windy, sunny, cold or hot, or noisy, like when the toilets flush. Her parents are struggling with what to do with Sam as she seems more difficult and intense in comparison to other kids. The reasons for the sensitivity are unclear, with biological, genetic, prenatal stress, birth trauma or c-section theories put forth as contributing factors. (3) Despite the origin or reason for a child’s sensitivity, parents and teachers long to make sense of them and be better equipped to handle their intensity. If sensitive kids could give us perspective on what their world is like, I believe they would want us to understand the following five things to start. Their head can be very busy processing their world – The role of the thinking brain is to make sense of what is happening in the body which has been stirred up by one’s environment. Given that sensitive kids have an enhanced receptivity, they are likely ‘ingesting’ a lot of sensory stimuli that needs to be ‘digested.’ What this means is they will need time to process what is happening in their immediate environment. Some of them will naturally do this by standing and watching what is occurring, taking note of details, and trying to make sense of how it all fits together. This is why they are often the ‘observer’ despite adults wanting to push them to participate. Adults need to consider how sensitive kids learn vicariously through watching others and how busy their mental processing can be despite their lack of physical engagement. 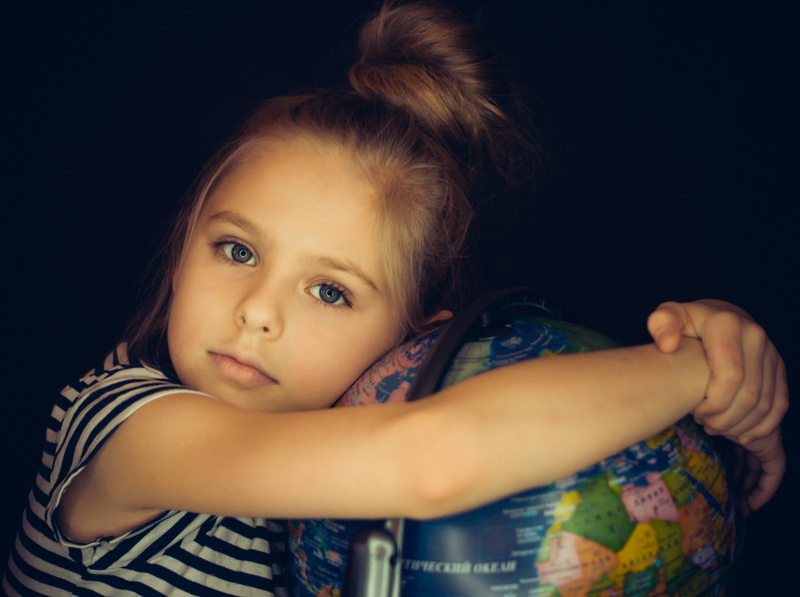 They are more prone to feeling stronger emotions when stirred up by their world – Sensitive kids can feel emotions in a heightened way giving rise to feelings of overwhelm and alarm. They are more likely to experience anxiety given their awareness and enhanced sensory intake. Sensitive kids often have intense reactions to both joy and despair. When they are frustrated it can lead to tantrums that explode and are intense. Their softer tears can be harder to come by but with patience, caring, and a firm hand, they can be lead to become resilient to the things that seem too much for them. The challenge with sensitive kids, especially when younger, is that they can be more readily overwhelmed by stimuli which leads to emotional outbursts. The goal is to lead them into vulnerable territory by providing room for expression, helping them use their words to describe their inner world, and supporting their tears in flowing. When we provide healthy environments, with strong adult relationships to support them through their emotional experiences, it will help wire their brain to handle the intensity of their emotional world. Relationships with others can take additional time to create – Sensitive kids don’t suffer fools gladly and adults must work to build a relationship with them. They often don’t warm up to people who don’t take the time to collect and engage with them. They can have a harder time following the directions and rules of people they are not attached to because of strong shyness instincts. Forming relationships involves vulnerability and dependency on others and this is what is at stake for the sensitive child. They can sometimes be perceived as more prickly in their responses but this can be part of their natural coping mechanisms when they are feeling overwhelmed. They are prone to feeling coerced and are more likely to resist other people’s agenda’s – Many sensitive kids are perceptive when it comes to other people’s plans and agendas in relation to them. When they feel coerced and controlled, they can become full of counterwill – the instinct behind resistance and opposition. They can dig in with refusal and lash out in frustration when attempts are made to move them in a particular direction. The goal is to engage their attention and collect them before making commands and demands so that they will be more inclined to follow along. 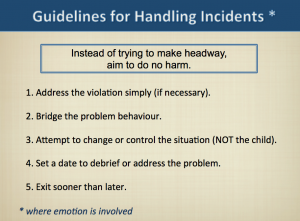 Structure and routine provide safety and security – For a sensitive child the predictable rhythms of daily life provide boundaries and help them orient to what will happen next. Routines take the unexpected surprises and unknowns out of their day, helping them feel more at ease and less likely to be concerned with what will happen next or who they will be with. It is helpful for an adult to take the lead in orienting and informing a sensitive child to the daily routines, and which results in feeling more at rest and cared for. Sensitive kids make up a significant proportion of children and need some thoughtful care and handling. While their intensity can take adults by surprise, they need to feel and hear the resounding message that their adults know how to take care of them. When adults take the lead, they can rest and play, allowing nature to grow their brains to adapt to a world that is often feels too much for their senses. Ellis, B.J., Boyce, W. T. (2005). Biologial sensitivity to context: Empirical explorations of an evolutionaly-developmental theory. Development and Psychopathology. V. 17,(2), pp. 303-328. (3) iv] Neufeld, G. (2013). Level I Intensive: Making Sense of Kids. Neufeld Institute Vancouver, BC, Canada. www.neufeldinstitute.com. In the Hans Christian Anderson’s fable, The Princess and the Pea, the sleeping princess is so sensitive that “she felt the pea through the twenty mattresses and the twenty eider-down beds.” Her sensitivity seems unbelievable, the substance of fairytales, unless, that is, you are a parent to a sensitive child yourself. Parents of sensitive kids will readily attest to their child’s heightened sensory receptivity to the world, with varying degrees of stimulation to touch, taste, smell, seeing, and hearing. From being tormented by tags in their clothes to the sound of toilets flushing, from walking on tippy toes, to a sense of smell that would rival any restaurant critic – these kids experience the world in a heightened way. Current estimates place them at 1 in 5 kids or 15 to 20% and they can also have at least one parent who is sensitive as well (1). Sensitivity can bring many gifts including natural brightness but give rise to particular challenges as well. Sensitive kids can be easily stirred up by their environment with sensory stimulation quickly becoming too much for them. For example, one mother was trying to understand why her four year old would run to the door to try and escape music class when other kids loved to participate. Sensitivity also poses challenges when it comes to attachment and forming deep connections with others. Sensitive kids don’t seem ‘to suffer fools gladly’ and often see through facades, unwilling to trust just anyone. While this makes them more wary of people and keen observers, it does ensure that they will only follow those who they feel they can lean on and have confidence in. 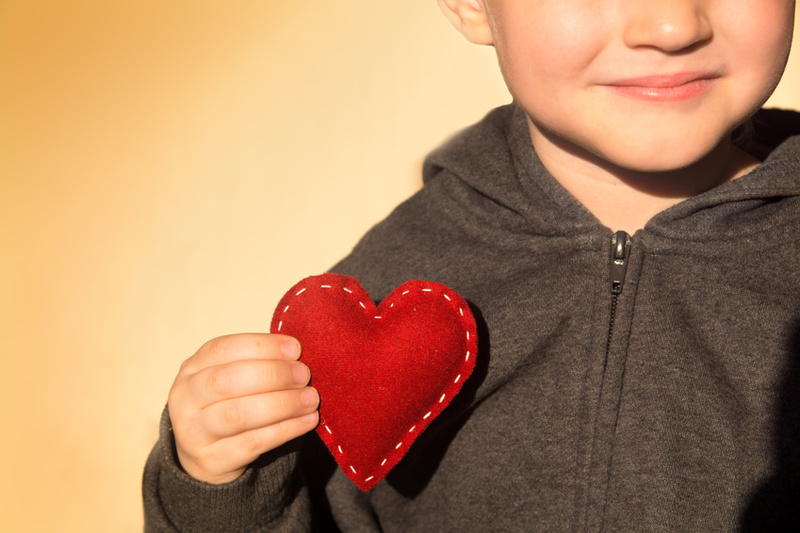 The good news is when a sensitive child has given their heart to an adult for safe keeping, this adult can be assured they are the child’s answer to contact, closeness, and that they will be able to lead them. We often take for granted the vulnerability involved in forming deep connections with others. Attachment is the doorway through which separation opens up. Being separated from the people and things we are attached to should be provocative for everyone, especially for the sensitive child. Whatever we care for we also run the risk of losing. Whomever we attach to has the power to hurt us or may withdraw their invitation for connection. To be in relationship with another person sets us up to get hurt given the vulnerability of dependence. Due to the vulnerability involved in attaching to things and people, some sensitive kids will resist it. One child told his mother after his hamster died that he couldn’t love his new hamster because he knew it would die too. Some sensitive kids are acutely aware that if they attach they could get hurt. They are also allergic to being coerced and may strongly shy away from those who try to push too hard to connect, feeling overwhelmed. They are often slower to warm up and if an adult lacks the patience or insight to see that the sensitive child needs time, they will have a harder time cultivating a strong connection to them. Some sensitive kids can be overwhelmed by their senses; which poses two problems. The first is their caretakers face competing stimuli for the child’s attention, making it difficult for them to appear front and center. Second, the overwhelming sensory stimulation can provoke defenses in the child’s brain to numb and tune out emotional information depending on each situation (2). This makes it difficult for caretakers to garner the child’s attention and get through the defenses. What every child needs from adults is to feel a strong invitation for connection but if their world is too noisy, it makes it hard for their caretakers to find a way through. 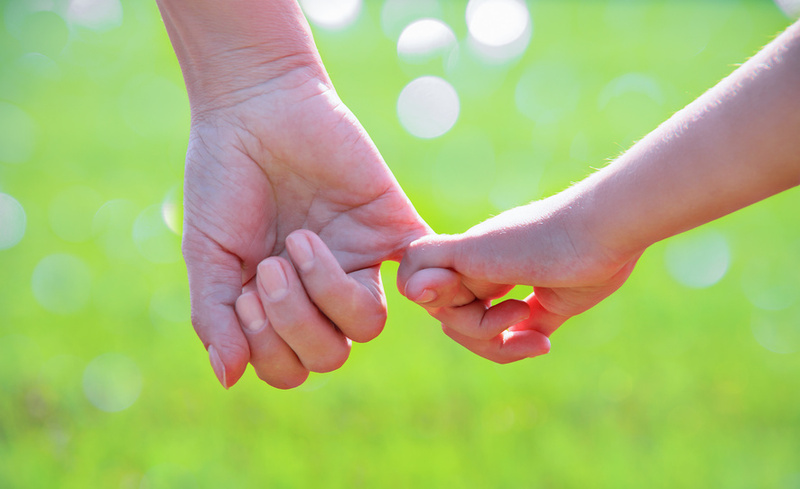 Reducing stimulation and competing signals will help a sensitive child and an adult cultivate strong connections. 3. More prone to trying to take the lead in the relationship – Attachment between a parent and child needs to be hierarchical if an adult is able to truly invite a child to rest in their care. This allows the child to take for granted that their parent can be counted on, can read their needs, and take the lead in orienting and directing them as needed. To be dependent on someone for caretaking is the most vulnerable position, the emotionally safer position is one of caretaking. As a result, sensitive kids are more prone to wanting to attach to their adults but in the lead position. They may become commanding or demanding with their caretakers, directing their parents on how to care for them. When a sensitive child tells others how to care for them, they are not at rest and are working to be cared for. This can create a host of problems including anxiety and frustration. For more information on alpha problems read Reclaiming the Lead with an Alpha Child. 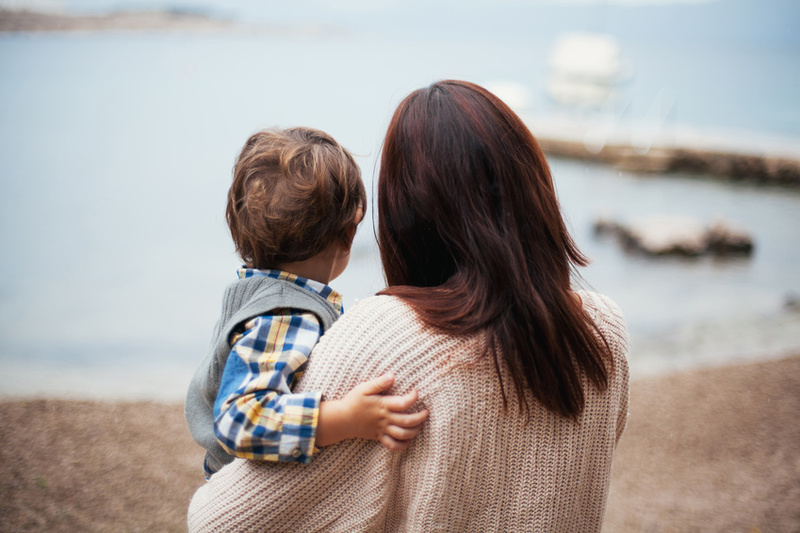 Collect their attachment instincts – If adults desire a strong relationship with a sensitive child they will need to be patient, not overwhelm the child, and to go slow until they can see the child is receptive. To collect a sensitive child’s attachment instincts you need to engage their eyes or ears, perhaps get a smile from them, and even try to find agreement on something, for example, you like to play with lego too. Repeatedly trying to collect them is the way through to deepening one’s relationship. The collecting dance is meant to activate the attachment instincts in the child and invite them into relationship. Matchmaking – If there is an adult the sensitive child is attached to then it will be important to get an introduction from this person first and let the child see you as a ‘friendly face.’ A sensitive child will follow the cues of the people they are attached to so it is imperative for the child to see these people as sanctioning any new relationship. For example, if a doctor wants a sensitive child to do something, it may be best bet to go through their adult than to make a direct request of the child. In a school environment it is important to matchmake the child to their teacher, pointing out similarities and how a parent trusts the teacher to care for the child. Take the lead and invite dependence – A sensitive child will rest in the care of people who convey they understand the child’s need and provide for them in a generous way. It is the consistent representation of the adult as being available, of being counted upon, and knowing what to do to help the child that helps foster a strong relationship. When an adult can walk a sensitive child through their big emotions, as well as shield and protect them when overwhelmed, it will help cement the relationship. Attachment is the greatest human need but it can be more vulnerable territory for sensitive kids as it opens the doors to separation. We will need to be patient and to be generous with our invitation in our caretaking. Strong relationships are critical for sensitive kids as it is here they will find refuge from a world that often feels too much and overwhelming. Neufeld, G. (2013). Level I Intensive: Making Sense of Kids. Neufeld Institute Vancouver, BC, Canada. www.neufeldinstitute.com.